When I acquired my first Pumi in 2007, I knew of 2 Pumik competing in USDAA in Texas. By mid-2008, with acceptance into AKC Foundation Stock and performance events a small handful of Pumik were also competing in AKC – Bella and I in Washington, Chuy and Stacy Lehman in Texas, and others on the East Coast. Bella and I were a novelty at local agility trials and I seriously thought about getting a shirt made up that said on the front “My dog is a PUMI” and on the back “It’s a pure-bred Hungarian herding dog not a Poodle mix.” Being preoccupied with the other dogs I was running at the time I felt no need to rush my training or serious competition with my Pumi and waited to see how things would unfold. By mid-2009 I had actually decided on my contact criteria and started to enter Standard runs. I thought “Hooray. Now let’s just get into Excellent B and we can go to the Invitational.” It was a refreshing change of pace from my other breeds where top 5 points totals and expectations were getting sky high. Fast forward nearly 4 years and the landscape has changed completely. 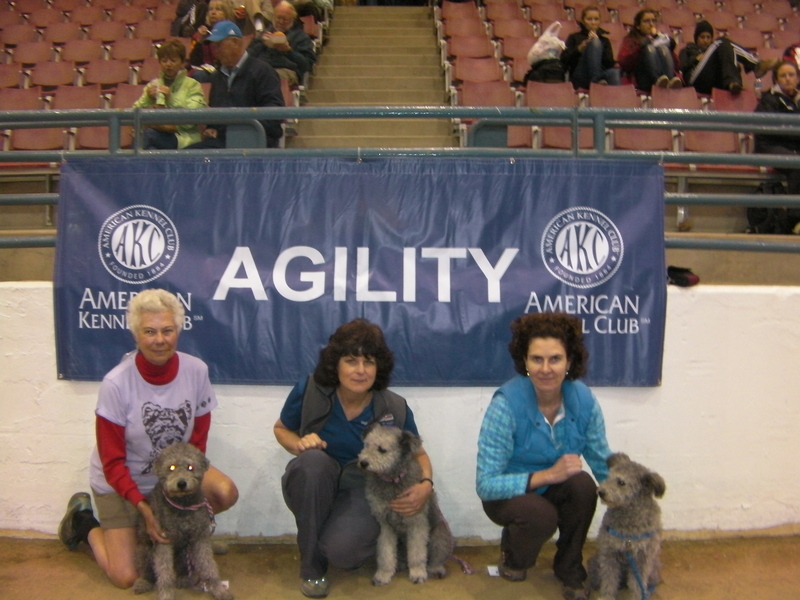 Now there are around 25 Pumik with AKC agility titles, 7 of those with Master Agility Champion titles, and 3 with multiple Master Agility Champion titles. Given the relatively small number of Pumik in this country that’s phenomenal growth. We’ve had Pumik in finals at the AKC Agility Invitational, finals at the AKC Agility National Championships, short-listed for AKC World Team, and even representing the U.S. at international events. And we haven’t even mentioned the titles amassed by 10 Pumik in USDAA agility or other venues. Recently as yet another Pumi MACH was announced I thought I would check my Invitational standings for this year. I’ve been feeling good about our AKC performances lately although we’re averaging just less than 1 weekend a month trialing. There have been quite a few firsts and other placements and a sizzling average of nearly 6.1 YPS over the last year in jumpers. As I saw the points totals it was a bittersweet moment realizing that I was not even close to getting into the top 5 Pumik in AKC agility this year. It made happy tears well up in my eyes realizing how much other handlers are competing and enjoying working with their Pumik in this great sport. As many of the dogs competing now are still so young and I see the promise in the eyes of the next generation of Pumi youngsters in training, I know we’ve come a long way in a very short time but the best is yet to come! What a great article. Isn’t it great that you don’t get asked that question as often, “What mixed it that? And what is a pumi?” The pumik is getting known in the USA. No one asked me at the AKC trial (Friday) or the USDAA trial (Sat.-Sun). I’m looking forward to hearing that you have a pup for me. 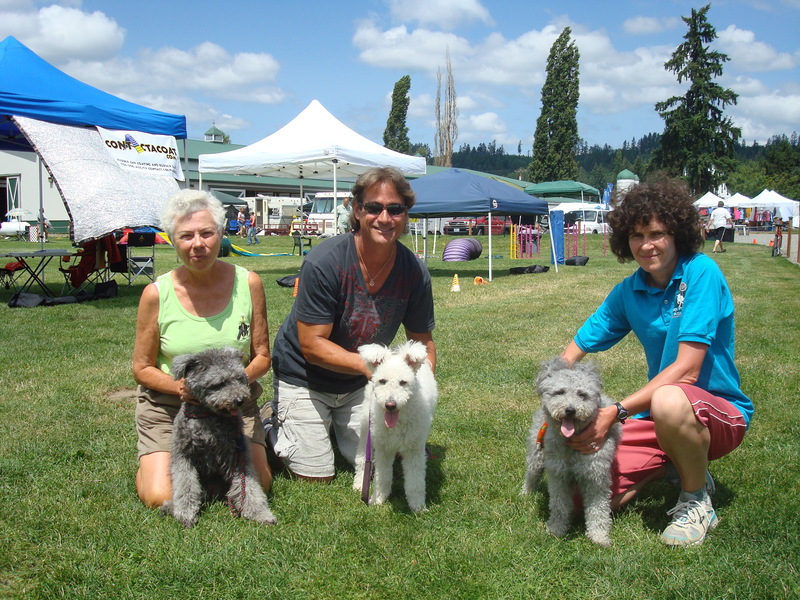 Shirley and the Poodle Crew + a Pumi.